Andy Oliver has held a training licence since 2004. Before setting up his self-contained establishment on his family farm in County Tyrone, Northern Ireland, he qualified as an equine vet and spent time with trainer Mark Johnston in Yorkshire, England. Having built his owner base thanks to consistent success from relatively humble means, his career took off in 2011 when Flowers Of Spring registered a first stakes success for the yard in a Group 3 at Gowran Park. The good results continued in 2012, with Group 2 wins for First Cornerstone and Sendmylovetorose contributing to a prize money haul of over €490,000. In 2014, Team Valor’s Panama Hat flew the flag, racking up five consecutive handicap wins. Panama Hat went on the next year to prove he was much more than a handicapper, scoring at Listed and Group 3 level as well as running second in the American St Leger. Though stakes success has always been the yard’s ultimate aspiration, Oliver is also well known for sourcing good value stock and bringing along horses that might then be sold to race abroad. Sendmylovetorose was just a £5,000 purchase, and Oliver also handled future multiple Hong Kong Group 1 winner Luck Or Design and 2015 Queen Mother Champion Chase winner Dodging Bullets in the early stages of their careers. The past two seasons have proven more challenging for the Oliver yard. Having had almost 300 runners on the Flat in Ireland in 2013, this number was down to 92 in 2017. Oliver has taken this time to regroup and recently finished upgrading his facilities. The revamped facility now features a five-furlong woodchip hill gallop, a seven-furlong woodchip gallop with a slight incline, and a three-and-a-half-furlong sand gallop. Such advanced infrastructure allows him to train any type of horse, whether Flat or National Hunt, and his 80 boxes have been steadily filling. With a lot of work having been put in and difficult years weathered, Brexit is surely a complication Oliver could do without. 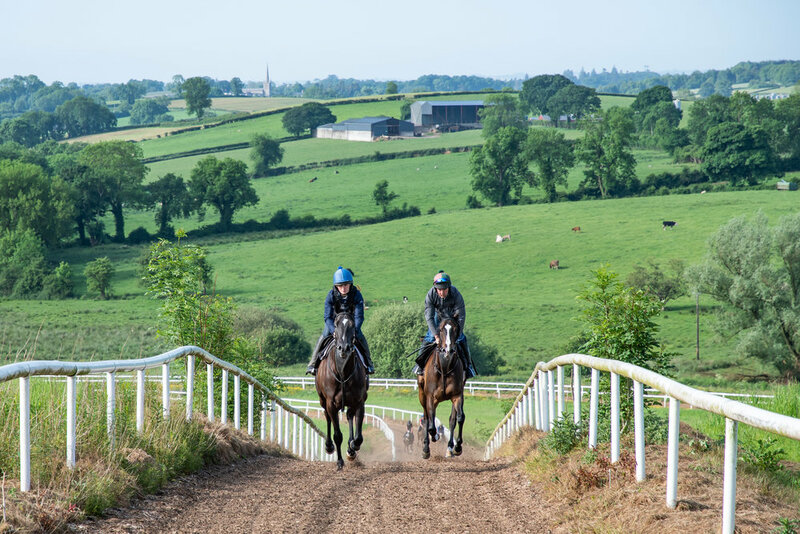 It is still unclear whether a hard border will be instituted between Northern Ireland and the Republic of Ireland, but we can assume that the UK’s new arrangement with the EU will affect trade, transport, staff, and many other fundamental aspects of the racing industry. These issues will have a strong impact in both Britain and Ireland, with Northern Irish racing finding itself in a particularly precarious situation. European Trainer spoke to Andy Oliver to gauge his thoughts on how Brexit might affect his business.